"Judge Dredd - The Role-Playing Game casts you in the role of a Judge of Mega-City One, as popularized in the pages of the 2000 AD comic. 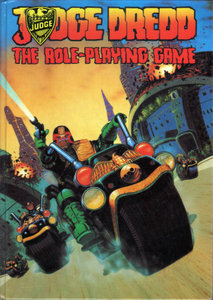 The players stalk its deadly streets, patrol the Meg-Ways and Underzooms on their Lawmaster bikes, on the lookout for dangerous perps to arrest. This volume includes everything you need to create Player Character Judges, rigged out with all the necessary skills and equipment for patrolling the city and apprehending criminals, plus details on setting up and running adventures, together with rules for equipment, weapons, aliens, mutants and robots -- in short, everything you need to create hundreds of crime-fighting adventures in Mega-City One." 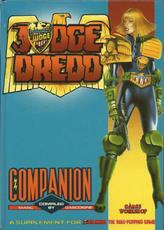 "This hefty hardback is a companion to the wonderful Judge Dredd - The Roleplaying Game, and it's stuffed with all kinds of additions, articles, and adventures to spice up your game. For a start there are new rules, special abilities, and even a whole new branch of the Justice Department in the shape of (gulp!) Judge Exorcists. There are super-powered vigilantes, the rules for Shuggy, a guide to Brit Cit One, and a fully-detailed sector of the City! 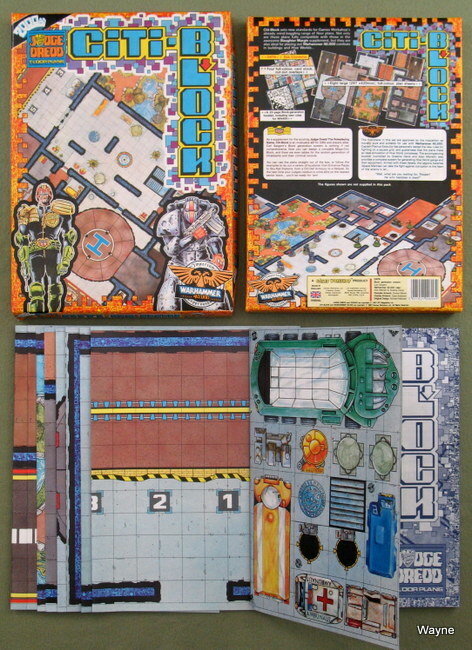 There's even a pull-out-and-play boardgame which recreates that infamous Mega City one pastime known as Block Out! And then: the adventures! Ease your players gently into the swing of things with On the Beat, knock 'em for six with Channel Nine Crime Time Special, and then finish 'em off completely with Fear and Loathing in Mega City One." "It's two in the morning. Not very far away, though, a shadowy figure is putting thefinishing touches to a plan that will put the whole of the Mega-City at risk. If the plan is allowed to succeed, the Judges will once again be faced with the threat of chaos and anarchy, when the most evil criminal mind the Mega-City has ever known returns to claim what's his, on JUDGEMENT DAY!!" 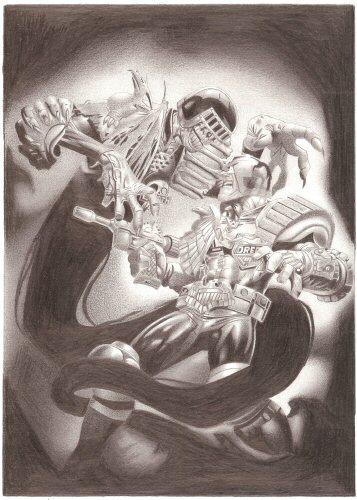 "The spectre of a long-forgotten foe has appeared to haunt the streets and blocks of Mega-City One. And only you can stop it! 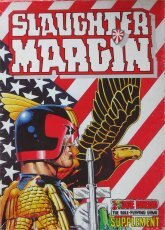 Slaughter Margin is the latest supplement for the enormously popular Judge Dredd Roleplaying Game. 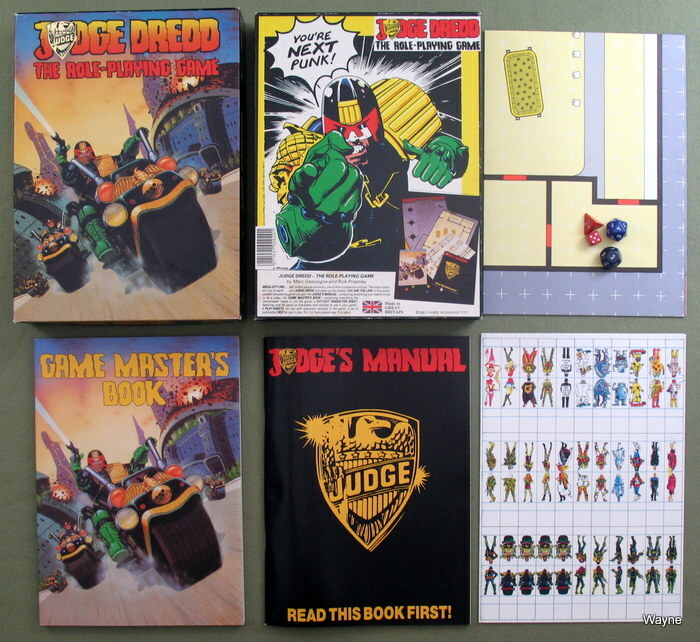 It provides Judge Dredd GMs with a complete set of 8 A3 generic floorplans which can be joined together to make all sorts of buildings, and 4 sheets of card counters and overlays, with enough judges, perps and furnishings to bring all your games to life! 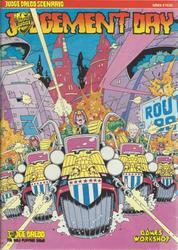 But, more than this, it also contains a 48-page adventure, which makes full use of these amazing plans, and pitches your Judges into a baffling case of murder, and a conspiracy to destroy the whole of Mega-City One! Future Judge Dredd releases will build on this unique and flexible system, to provide JD players with all the plans they’ll ever need in the fight to keep the streets of the city safe for citizens everywhere! • 8 A3 sheets of generic floorplans. • A sheet of over 100 counters — featuring all the characters involved in the adventure. • 3 sheets of overlays which provide the generic plans with the signs, logos, furnishings, etc, that are featured in the adventure. • A 48-page adventure book. • 8 sheets of player hand-outs." As a supplement for the scrotnig Judge Dreed The Roleplaying Game, City-Block is an invaluable aid for GMs and players alike. Carl Sargent's Block generation system is nothing if not comprehensive. Now you can design a complete Mega-City Block, and there are even tables for the random generation of inhabitants and their criminal records. You can use the plans straight out of the box, or follow the examples to lay out a variety of locations: from the Entrance Plazas to Sky-Rail Stations, from a Citi-Def Armoury to a Helipad. So the next time your Judges conduct a crime-blitz on the nearest sector block... you'll be ready for 'em! 'Well, what are you waiting for, Trooper? He who hesitates is dead!'"